Whenever I travel, I love to experience weather. California has no weather. After the latest “cold snap” (below room temperature for the rest of the world (60F)) in California, Jimmy Kimmel aggregated the local weather reports. You got to love the parts about “the leaves blowing around” causing problems. Really? The leaves blowing around. I’ll say it again. California has no weather. Sydney on the other hand, doesn’t disappoint. Today was the day of our company picnic. I figured I’d head over in the late afternoon in the cool of the day. Being off the beaten path, I’d ride my bike from Central train station. Leaving the apartment I could see some weather in the distance but it seemed to be moving the opposite direction. Once I got to Central, it was clear I was wrong about the weather. A warm wind was encircling the street letting everyone know that weather was coming. The sweet smell of rain filled the air. Drops of rain began to fall. The thunder rolled and I picked up the pace to try to beat the storm. With the first flash of lightning the skies opened up and I was soaked. There was no escaping this one. 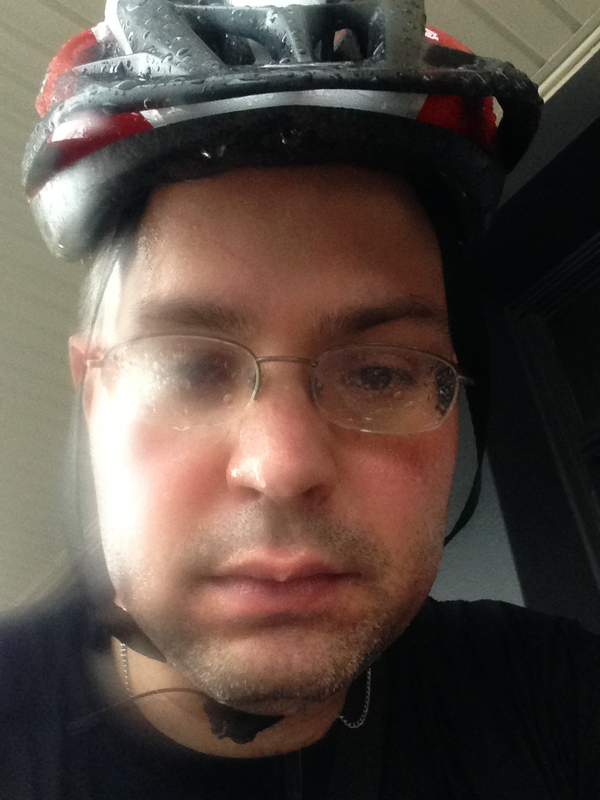 It was pouring rain and I was kilometers from home. Lightning was in the air as well and being on a metal bike didn’t help either. Riding along one of the main corridors in town I saw a motorcyclist that was in the same predicament that I was in: fully soaked with nowhere to go. I gave him a thumbs up and only got a blank stare of disgust. It’s warm rain here so it was fun to splash through the puddles and get splashed by cars going by. Once you are soaked you can’t get more wet. Once I got back to the apartment, I could hear the squish, squish, squish of my shoes. I tossed everything into the wash and a shower felt GREAT. When I got out of the shower, the sun was just about to go down. I’ve been working on sunsets with the new camera and I think I’ve got a good one. With the recent rains, the air was as fresh and clear as could be.